Millions of people use LinkedIn to network, look for jobs, or to find job seekers. A small percentage of people take full advantage of their LinkedIn profile, however. LinkedIn is the most powerful online job search tool, because it allows you to demonstrate your skills, friends and colleagues can recommend you for certain duties, professionals can research potential employers, and people are able to connect with hiring managers. 1. Your picture. Have a professional photo on your profile. You should always smile and wear something office appropriate. First impressions mean everything. 2. Your professional headline. This is basically a small synopsis of who you are, what motivates you, and what job you are seeking. You should include your unique skills and specific talents. Use the “|” symbol on your keyboard to separate different parts of your headline. (i.e. Recent Graduate Seeking Position at a Design Company | Social Media Evangelist) You should switch your headline every other month to refresh it. Always include keywords. 4. Contact Information. Many people miss this step, but it is very important. If you are not easy to get in contact with, then many employers might pass your profile over. Let potential hiring managers know how if they can contact you through a contact form on your website, by contacting you on your blog, by sending you a LinkedIn message, etc. Leaving your phone number may open the door to spamming by recruitment agencies, so be wary of doing so. 5. Profile Size and Style. You should limit your profile words to around 150 words or less. You should always write in first person to personalize your profile. 6. Specialties Section. You can highlight the skills you excel in here. 7. Work Experience. Similar to your CV (You may also upload your resume right on the profile if you prefer). Make sure it is readable by putting in bullet points. 8. Website or Blog Links. Invite people to connect with you by typing in your website. This is a great way to promote yourself and your work. 9. Applications. Add the Amazon application to show what books you are currently reading. This can wow employers by showing them your personality and it shows you are a serious and well-read individual. A blog application will show snippets of your posts on your profile. This is ideal for adding personality to your profile and it will drive more traffic to your blog. You can make use of a Slideshare application where you can show your work or add a Youtube video if needed. 10. Get Recommended. Give your friends, coworkers, and colleagues recommendations and you will also receive the same. This is the best way to make use of networking. Building relationships will give you amazing opportunities and connections in the long run. Send at least one recommendation per week. 11. Show Your Expertise. Join groups and interact. Offer to answer questions on these groups that you are knowledgeable in. Doing so will give you green stars on your profile. These stars will then show off your expertise in certain subjects, impressing potential employers. Add content to help others. Contribute to groups that offer you the most value. It is yet another great way to obtain more connections and help one another break into a given industry. 12. Complete Your Profile. 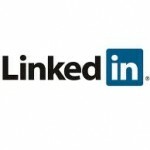 The LinkedIn platform encourages its users to have a complete profile. It does this for you in steps, making it user friendly for you to optimize your profile to make it more searchable and attractive. Include all recent work experiences, including your current position. Never leave your profile incomplete if you want people to find it when they are searching for job seekers. Do not underestimate the power of social media when it comes to looking for a career. A great LinkedIn profile can help you make a positive first impression before you walk in for an interview. How? A recruiter establishes their opinion of you within the first 20 seconds of reading your profile. Many enterprises, even large ones, use LinkedIn to promote and fill job openings. Desirable companies that are hiring will be looking at your profile. It is up to you to make it stand out and to make the most of it.